Brainbuzzz is an exercise system that strengthens the way we receive information from the world and the way we process that information. This makes interaction a more relaxed and natural process and enables better concentration and understanding. Brainbuzzz is for children or adults who experience learning difficulties, a sense of detachment or struggle with aspects of life. You may already have a diagnosis of dyslexia, dyspraxia, ASD or ADHD. Brainbuzzz is a sensory exercise programme that tones up the sensory input systems of the body/brain in much the same way a fitness programme would strengthen your muscles. This system has been devised to replicate the very primitive stages of the development of our senses which provide the foundation of all our understanding of what we see, touch and hear and feel. By exercising these systems our neuro plasticity recalibrates them bringing them into balance and this greatly improves the way we experience the world around. The Brainbuzzz programme is the primary step to enabling good sensory integration and sensory processing. Brainbuzzz develops the sensory input stage which naturally strengthens the sensory integration and sensory processing stages of understanding and interaction. Without strong, well balanced sensory input the individual is trying to integrate and process chaotic signals. The Brainbuzzz programme builds up in stages, each stage providing a solid foundation for the next stage of neural development. This process follows just the same way our development naturally occurs. For some people neural development gets disrupted or damaged by experiences like difficult births, infections or fevers. This is where recreating the neurological development stages with Brainbuzzz can help. It is repetition of very specific movement exercises that creates the growth of new nerve pathways in the body and brain. These new nerve pathways fill out the body/brain’s sensual perception matrix. It is very important for daily repetition of exercises to be carried out by the individual to encourage the nerves to grow and new neural connections to become hard wired and stable. 1:1 screening – For children aged about 5 years and over there is a screening process to help determine their current abilities and show us at what stage of the Brainbuzzz process the child, teen or adult should begin. The screening is carried out in a relaxed and friendly way to keep the child/adult feeling at ease. It is a process of play and careful observation. A parent must be present through the whole process. It is beneficial for the parent/s to observe the process and witness the results for them to gain a greater understanding of their child’s sensory make-up. Also it is often fun to carry out some parts of the screening process on a parent too which takes some pressure off the child. During the screening we will be looking at…….. Even small deviations from ‘the norm’ in any of these neurological processes can create significant symptoms for the individual. Everything that we test for, we have an exercise for. The exercises stimulate the production of new neurological pathways in the brain. The screening helps us see at what stage the neurological development has been interrupted, in utero, birth or after birth. Then I will teach you the movement processes that will relay the neurological pathways from the relevant stage. School Ready Programme – For children under 5 or those showing greater needs we start at the first level and do not try a full screening. All children are different and have their own pace but school now-a-days is very demanding. This is the Brainbuzzz programme without the screening process. 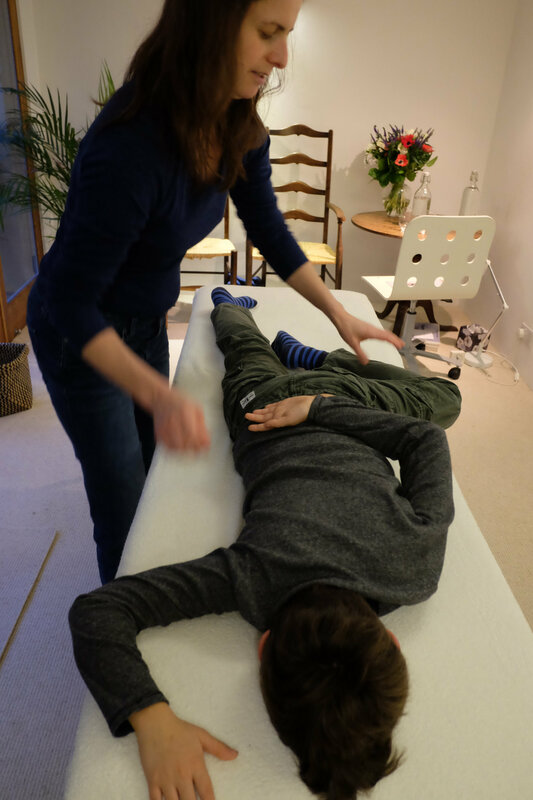 The School Ready Programme uses the same sensory and movement neuro development exercises that we use for children with learning difficulties. The Brainbuzzz programme triggers further activation and integration of the cranial nerves both sensory and motor, enabling fuller recognition, engagement and interaction with the world. If this neural foundation is not complete then comprehension is more difficult. Baby Brainbuzzz – perfect for if you have concerns that something isn’t right from early on. There is nothing like nipping a problem in the bud, so to speak. If you have any concerns or suspicions that something is not right, your baby doesn’t seem to be acting like other babies or the birth was not smooth then maybe Baby Brainbuzzz is the answer. Are you aware of any missed developmental stages? Whatever age your baby is we can discuss and observe your concerns and make up an age appropriate programme. Group talks – I am very happy to come along and give an informal talk to your group. “The Brainbuzzz programme made real changes for me. I just wish it had been available when I was a child. I could feel my nervous system changing and further developing as I progressed through the stages of the programme. My brain no longer locked up with overload as I read aloud, I was freed from Dyslexia. But also my debilitating shyness dropped away. “I took my daughter to see Anna during crawling, sleeping and teething troubles. It was so useful getting help and advice regarding developmental concerns. Anna has such a calming presence that helped my daughter and I relax during her treatment.